Clover crochet hook set in incredibly high quality. 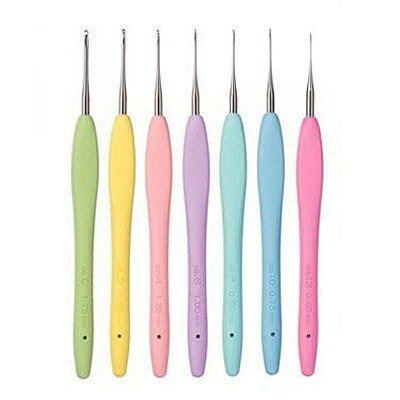 The set contains 7 crochet needles in sizes 0.6mm to 1.75mm, so you are sure to have exactly the size that fits your creative crochet project. The crochet hooks are 9.3 cm long, and are ergonomically shaped, giving them a good grip and making them very comfortable to the hand. A really nice set for the quality conscious crochet.